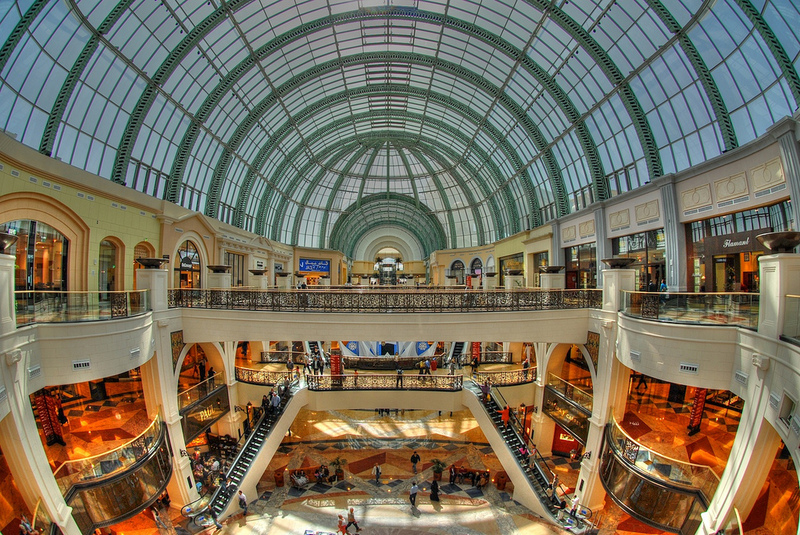 Dubai is truly a shopper’s paradise; there is nothing you CANNOT find in this shopper’s Mecca. The key to a successful and stress-free shopping experience is to be prepared. There are so many malls and shops all over Dubai that deciding where to go can actually be quite intimidating. However, with a few insider tricks and tips, you can get everything you need and get these items at competitive pricing. Here is what you should know about shopping in this fabulous city. You can go shopping in Dubai at almost any time of day, but to get the best out of your shopping experience early mornings and evenings work best. Most shops open at 10:00 am so plan on getting there shortly after; most shops at this time are empty and you will have the shop owner’s full attention. Evenings are usually more crowded, but also a good time to shop because it is much cooler. Whichever time of day you choose make sure to leave plenty of time so you are not rushed. Dubai loves to shop! This is very evident from the number of shopping events and festivals the emirate hosts to attract more tourists and to cement its position as one of the top shopping destinations in the world. If you are looking to buy closer to the end of the year, wait for the Dubai Shopping Festival (DSF), which runs at the beginning of every year for the last twenty years. Over a month-long period, shoppers can look forward to some amazing deals and promotions on all types of goods including electronics, computer items, clothes, toys, household goods and a variety of other consumer favorites. 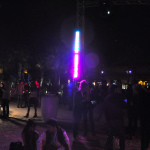 The festival also hosts some amazing concerts and there are a ton of raffle prizes to be won. Similarly the DSS (Dubai Summer Surprises) is a month-long shopping extravaganza with a focus on family fun and shopping, so if you miss the DSF, you have this event to look forward to. If you can wait to buy your big items during these events, you are likely to strike some big bargains so plan accordingly. Most tourists who come to Dubai for the shopping experience are looking to take back a piece of Dubai as a memory of their holiday to share with friends and family back home. For souvenirs, gifts and other tourist-type gifts there is only one place to shop – Karama! Packed with a host of novelty gift stores, Karama is well known as the home of ‘real fakes’. Don’t bother going to every shop; many of them carry similar items so select a couple of stores you want to hit and get ready to bargain! If you buy all your items from one store, the store owner is likely to give you a big discount. Don’t hesitate to walk out if the price is not right; more often than not shop owners will call you back! 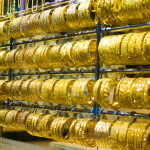 If you are looking to buy gold, there is no better place for choice and pricing than the Dubai Gold Souk. This gold market is filled with dazzling shops packed with gold items of all kinds. 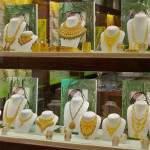 Don’t be surprised if you see huge chains of gold or gold bars in shop windows with very little apparent security. Again the key to getting a good deal here is to bargain, bargain, bargain!! If you like an item, don’t buy it right away; go back the next to see if you still like it in the day time when the lighting and ambience is very different. Visit a few shops for variety and different designs and tell the shop owner that you found this item for a lesser price in another shop. They will usually match this price. 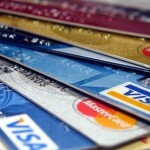 Be aware that credit card payments incur an extra fee. You can find clothes of every style, color and price in Dubai. If you are looking for international shopping brands, these items are not tax free and are usually more expensive than if bought from their country of origin. For quality clothes, malls are the best places to visit and many stores go on sales at various times of the year. 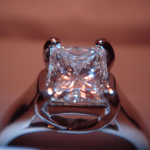 Wait for bargain sales if you can as you are likely to get great deals on quality items. You can also get some excellent pre-owned designed wear and bags at incredible rates at markets such as the Prime Dubai Designer Market, a monthly community event held on the second Saturday of every month. Although merchandise is second-hand, it is in great condition and much cheaper than you would find in stores. For exclusive hand made products that will not set you back a fortune, another great event is the ARTE, where you can find hand-made clothes, jewelry and many other hand-made items made by local artisans. Electronics in Dubai are typically significantly cheaper than those bought in other countries so if you are looking for the latest I-phone or audio system, Dubai is definitely the place to be. You can get incredible discounts and loads of freebies at the Gulf Information Technology Exhibition (GITEX), which is an annual week-long expo. The expo attracts some of the biggest names in IT professionals, retailers and suppliers. 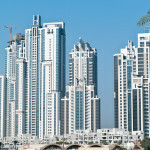 In addition to this there is Al Fahidi street in Bur Dubai, the home of electronics goods. Ask for an international warranty when buying electronics and make sure the voltage matches the standards in your home country. Outside of Iran, Dubai is one of the best places to buy quality carpets. Rugs are synonymous with the country’s culture and history and it is rare to find a home here without at least a carpet or two. Carpets come in many different materials and sizes; while a machine-made carpet can cost you a few hundred dirhams, quality hand-made woolen carpets can cost significantly more, around AED 4000. An original silk carpet can set you back as much as AED 60,000! If you are looking to buy quality hand-woven rugs and carpets, it is best to go to a specialized carpet dealer. There are many such stores in several malls in Dubai including The Red Carpet (Mall of the Emirates), Emad Carpet (Dubai Mall) and National Iranian Carpets (Mall of the Emirates and Dubai Mall). For cheaper carpets, there is a Friday market in Masafi in Fujairah, one of the seven emirates in the UAE; this market has a host of carpet shops selling mostly machine-made carpets but you might find a really good quality one too, if you are lucky! For a gift for your best friend, girl friend, mother or wife, you can’t go wrong with a super soft pashmina shawl made from 100% silk. These can set you back anywhere upwards of AED 250 for a real cashmere shawl which is extremely soft and thick. Cheaper shawls made from viscose can be purchased for as little as AED 30 but there is no comparison to the comfort and feel of an original cashmere pashmina. 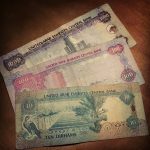 The Deira Souk in Dubai has several shops that will sell you all kinds if shawls; the best way to test one is to loop your finger around the corner and pull; a real silk shawl will pull through and through whereas synthetic materials will not budge. Dates are the local delicacy of Arabia and you will find a very wide variety of dates of all sizes in Dubai. Bateel Dates are the most exclusive of all with deliciously moist, gooey centers. At first glance the store looks like a jewelry store with rows upon rows of dates piled on top of each other. These dates come from Saudi Arabia and undergo strict quality control measures to ensure the most luxurious taste. Agwa dates are another delicacy, but are not that widely available as the trees produce dates every few years so grab them if you see them as you may not get another opportunity. If you are looking for quality hand-made furniture items forget the big shops in the malls and opt for some of Dubai’s hidden treasures in its industrial areas. Although some of these places might be difficult to find, the drive is well worth the effort as you are likely to get some really unique items at great prices. Pinky Furniture has a constantly changing inventory and often times you will not be able to find the same piece of furniture again. Also check out Heritage Touch in the Al Quoz Industrial area for all kinds of exotic items you are unlikely to find anywhere else.